12. Collar/leash: Fido will look great sporting a Big Rock collar and matching leash! 11. 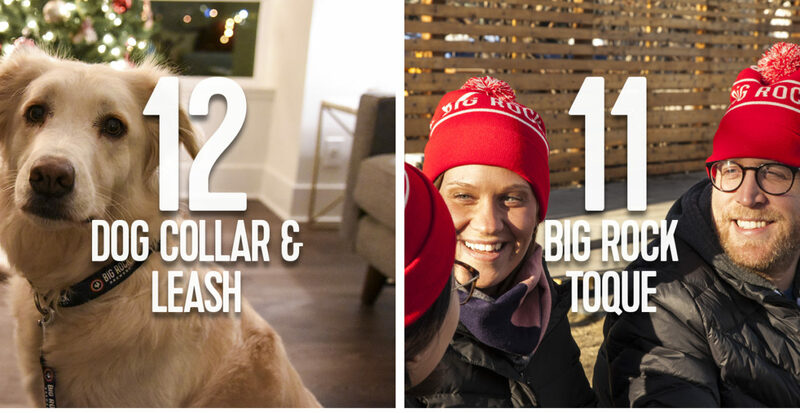 Toques: Our knitted toques have it all; comfort, warmth, and a pom pom! 10. Beer Thermometer: Hot or cold, it’s always time for an ice-cold beer. Keep track of those changing temperatures in style! 9. 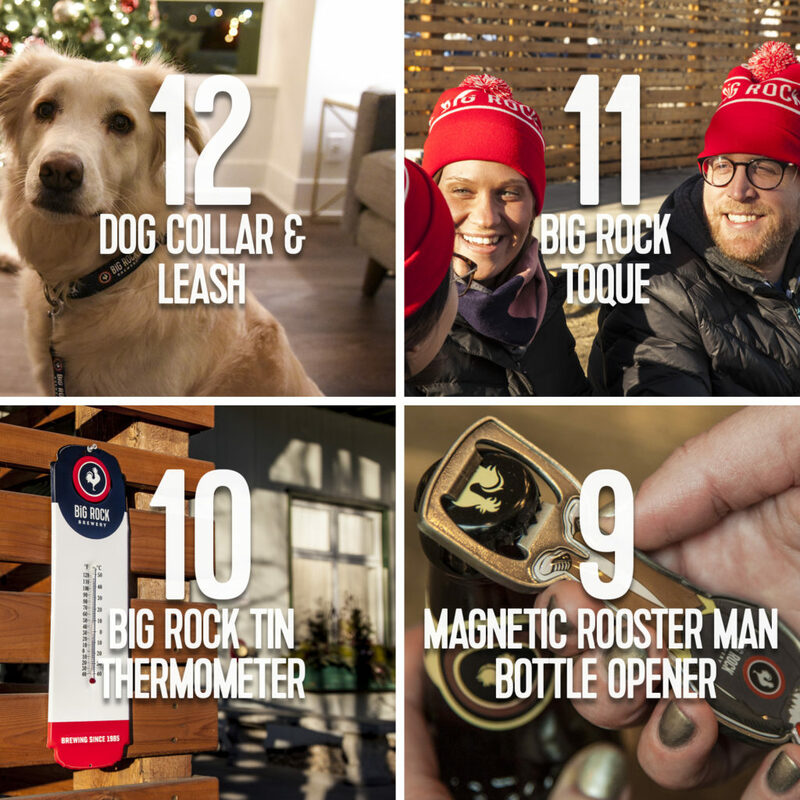 Rooster opener: Crack open an ice-cold beer with our stylish opener. A magnetic backing so you can slap it on your beer fridge for safe keeping. 8. Retro Cooler: This cooler looks great and keeps your beer cold at the same time. 7. Coffee mug: Made for coffee lovers… or beer disguisers! 6. Baseball hats: A mix of styles, shapes and sizes to fit every noggin. 5. Beer Crate: It’s the big brother to the beer caddy, because sometimes you need to transport more than a six pack. 4. Backpack: A tough and spacious backpack built for beer, and the urban commuter. 3. 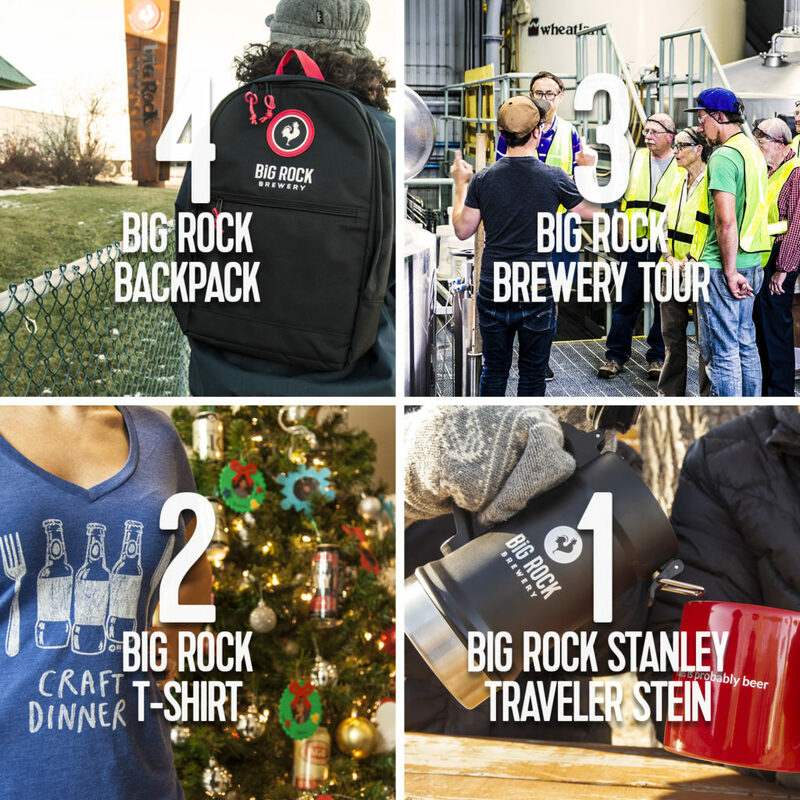 Brewery Tour: A fascinating brewery experience for the local bevvy fanatic in your life. 2. T-shirts: A variety of creative beer T’s that are totally pun-tastic! 1. This Insulated Stanley Stein keeps your beer fresher and colder. 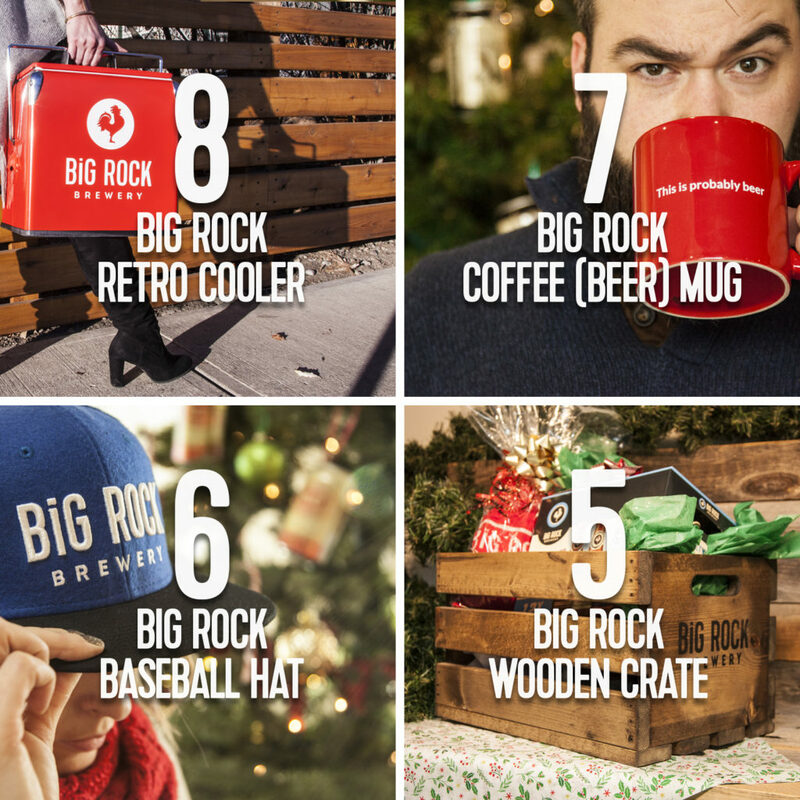 Order online now, or come into any of our brewery locations to pick up these awesome gifts and more!